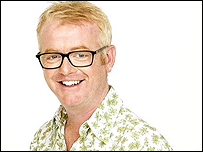 Chris Evans' radio comeback on BBC Radio 2 has been rewarded with two nominations for the Sony Radio Awards. The DJ has been nominated for music radio personality of the year and is also up for the entertainment award. Kerrang! 105.2 and XFM have six nominations each, with Galaxy, Real Radio Yorkshire and BBC Radio Ulster each receiving four. Local commercial radio hosts dominate the breakfast show category, with Terry Wogan and Chris Moyles missing out. Evans, who returned to the airwaves on Radio 2 in September, is due to move to the station's daily drivetime slot next month. He is up against Jamie Theakston from London's Heart 106.2, XFM's Lauren Laverne, Marc Riley from BBC6 Music and Virgin Radio's Tim Lovejoy for music radio personality of the year. 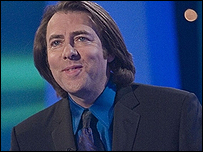 In the entertainment award category, he faces BBC Radio 1's Chris Moyles, Danny Baker from BBC London 94.9, Radio 2's Jonathan Ross, and the Ugly Phil Breakfast Show on Kerrang! 105.2 West Midlands. The only national station in the breakfast category is BBC Radio 4's Today programme. It is up against MacDonald & Maguire from Magic 1152 in the north-east, Nick Ferrari from London's LBC 97.3, Toolan in the Morning on Manchester's Key 103 and Wes at Breakfast from Galaxy Manchester. Radio 4 itself has 24 nominations in total, the most of any station this year. BBC hosts dominate the music broadcaster of the year category, with Tim Westwood and Zane Lowe from Radio 1 up against Paul Gambaccini and Suzi Quatro from Radio 2 and Radio 3's Andrew McGregor. Radio 1, Radio 2 and XFM are all in the running for UK Station of the Year. Tim Blackmore, chairman of the Sony Radio Academy Awards committee, said: "The accelerating rate of change within our industry is reflected in the way these awards have kept pace across almost a quarter of a century. "The enthusiastic support for the Sonys from all sectors of UK radio is evidenced by an outstanding year in which the overall number of entries has increased." The winners will be announced on at a ceremony in London on 8 May.